Compound weave conveyor belts, also called as cord weave conveyor belts, refer to series of right and left spirals compound together to form a tighter conveying surface comparing with balanced or universal weave belts. 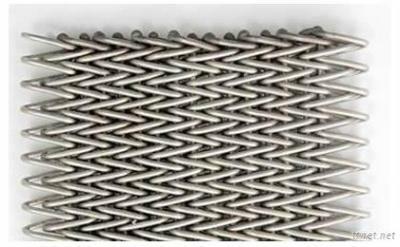 This tightly woven structure makes compound weave conveyor belts ideal for baking, conveying small products and top heavy loads. High resistance against acid, alkaline, chemical, abrasion and corrosion. Capable to work regardless of high temperatures. Smooth conveying surface minimize marks and provide easy accurate conveying. Heat treating of small products. Cleaning, drying, cooking, freezing and salting. Serving as pasteurizing belt, furnace belts, etc.